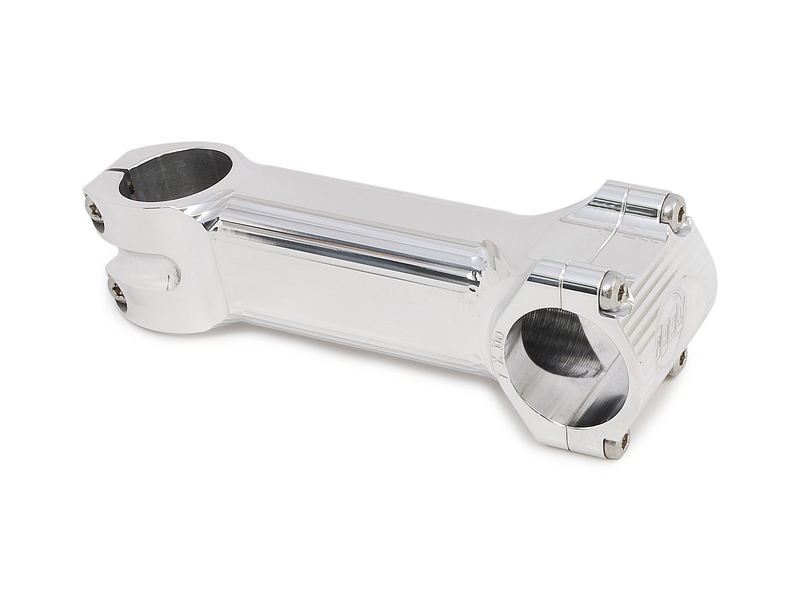 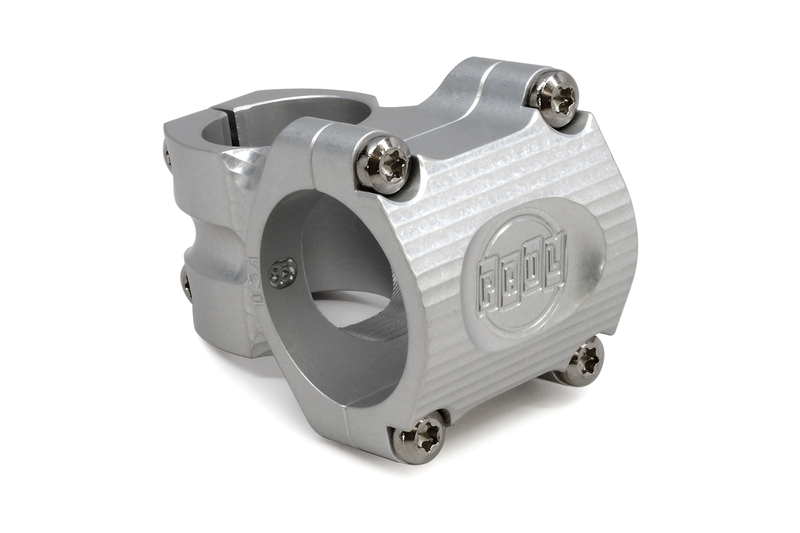 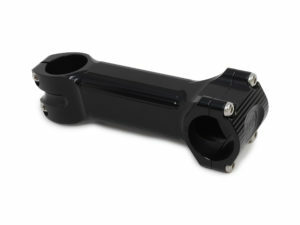 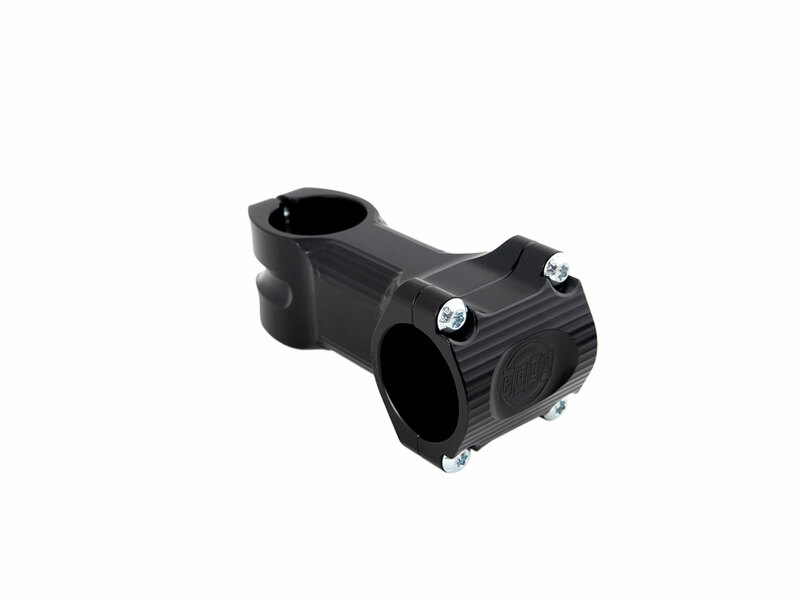 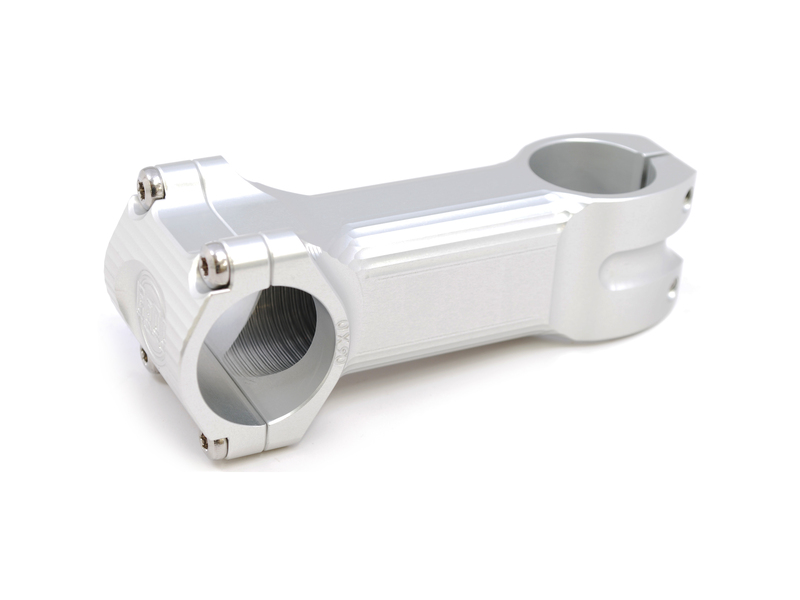 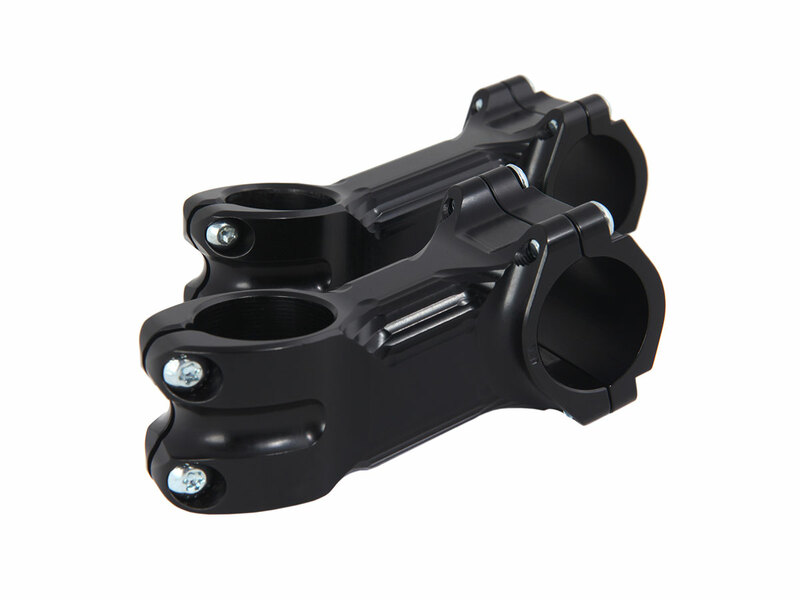 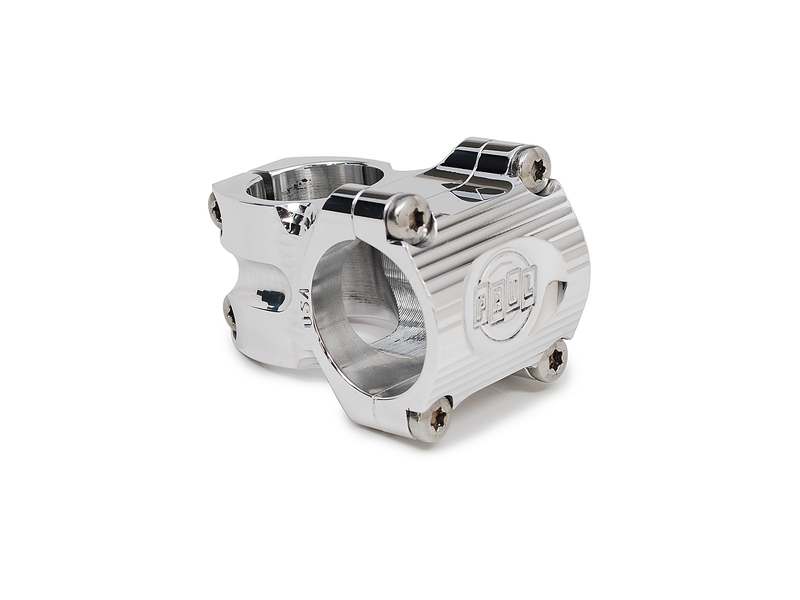 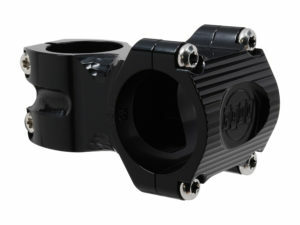 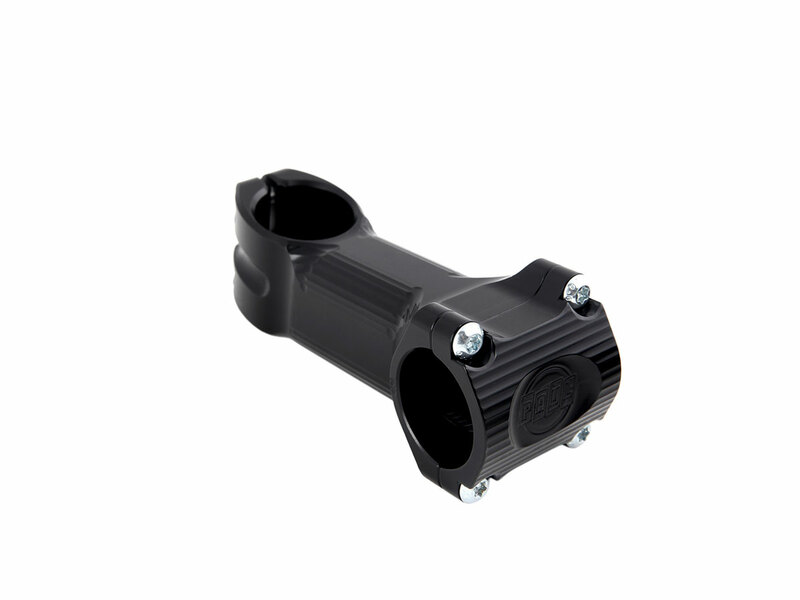 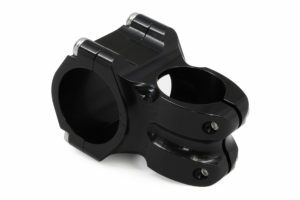 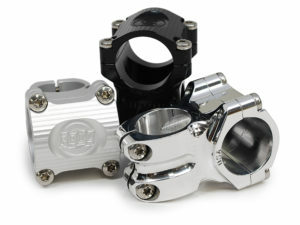 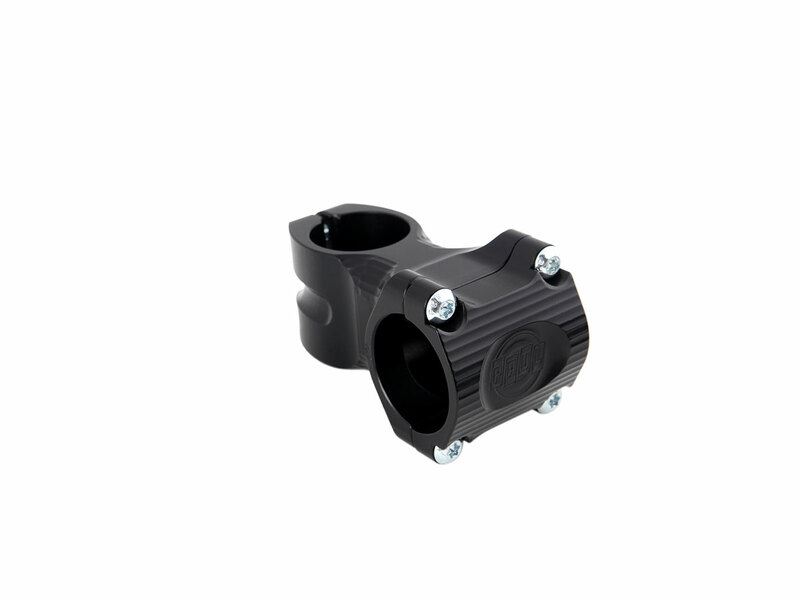 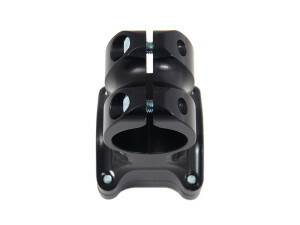 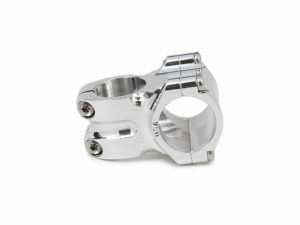 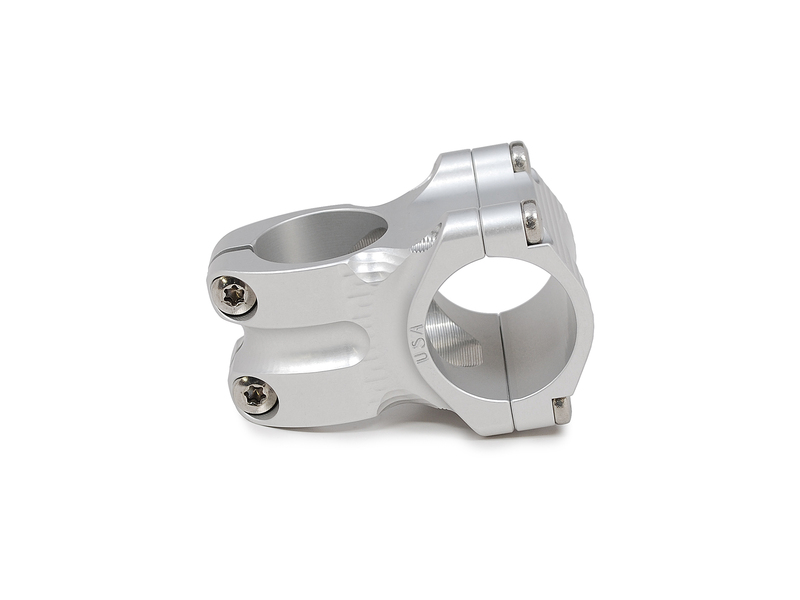 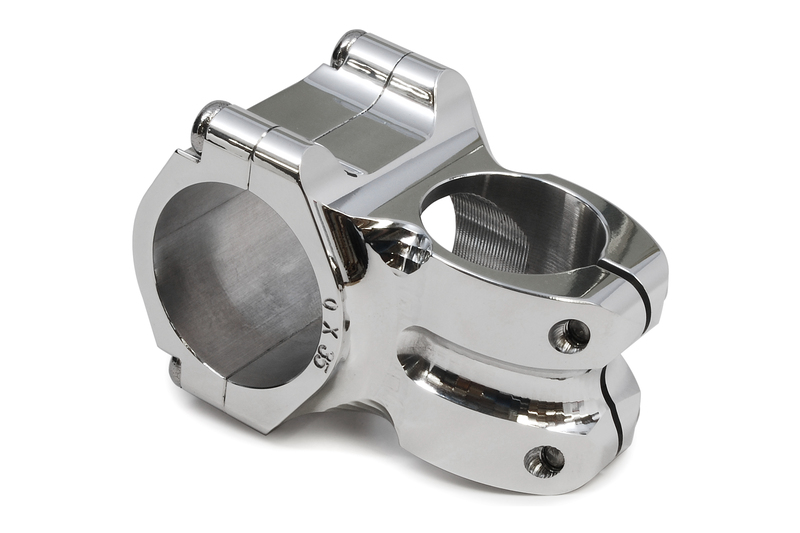 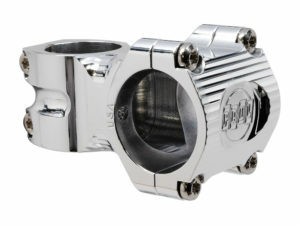 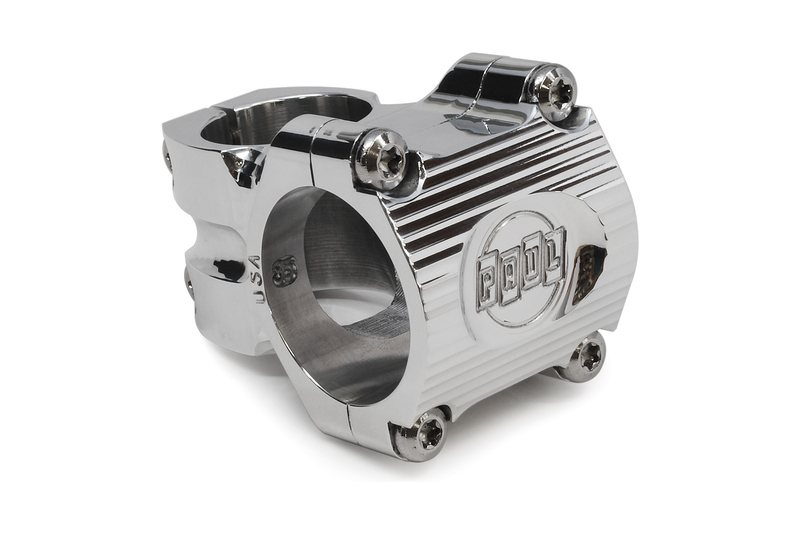 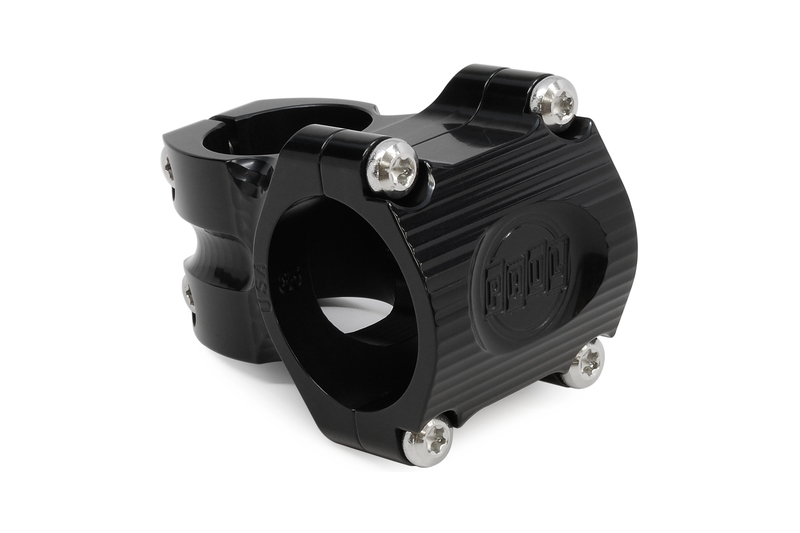 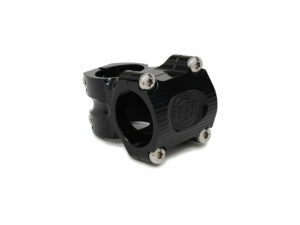 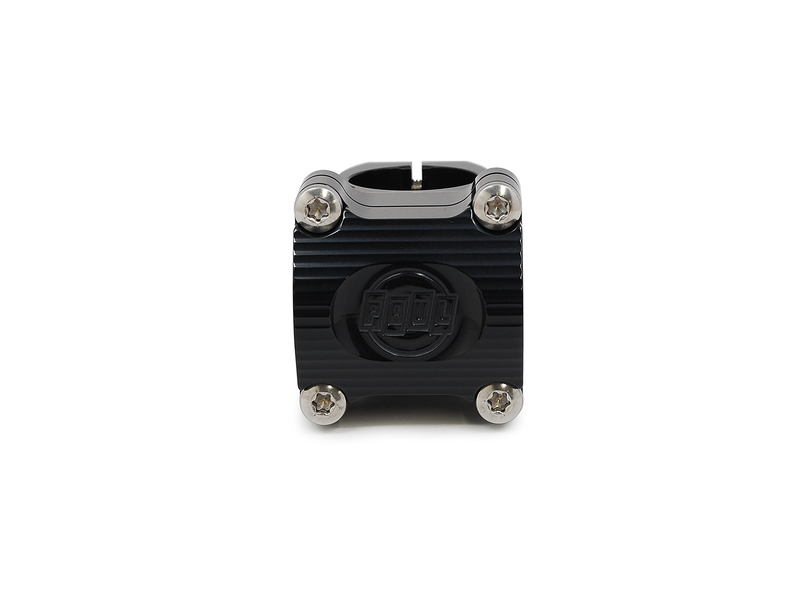 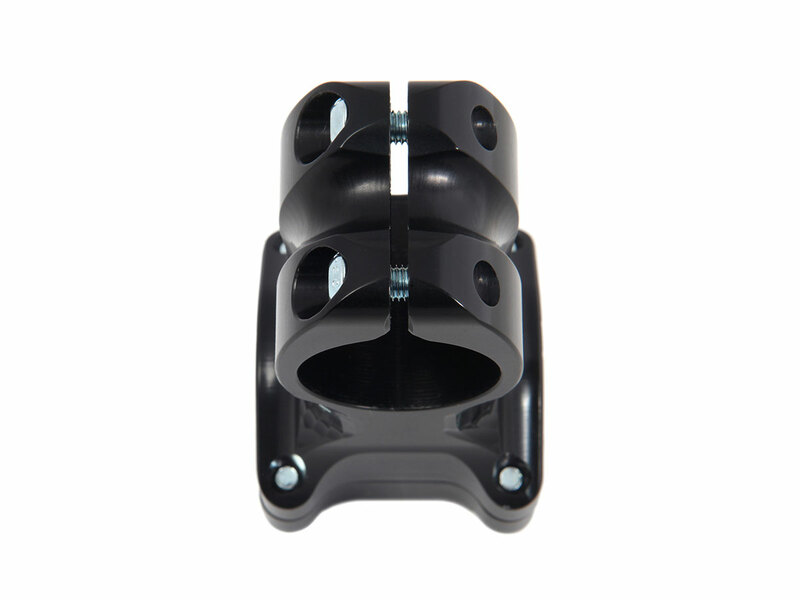 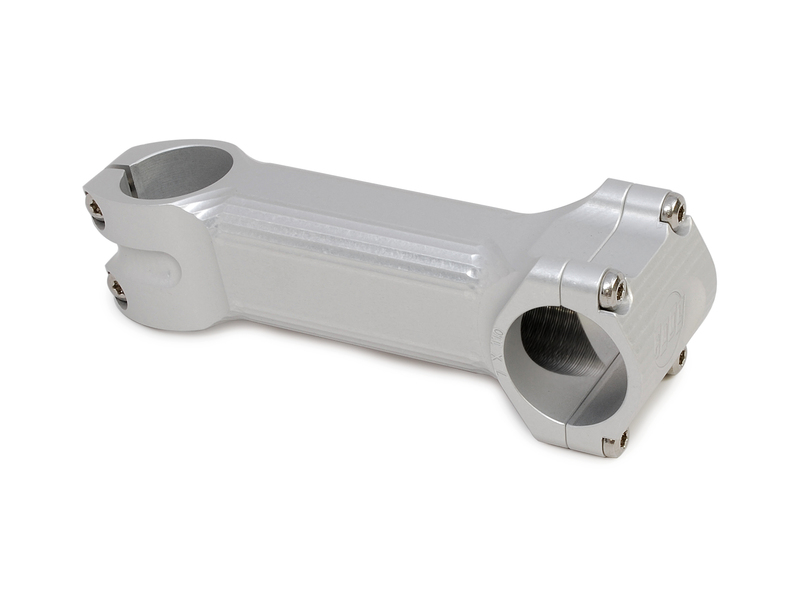 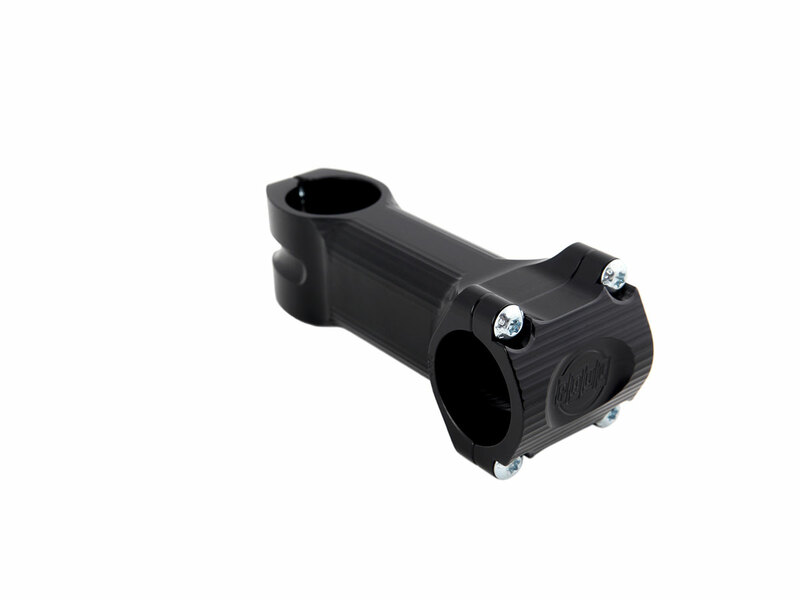 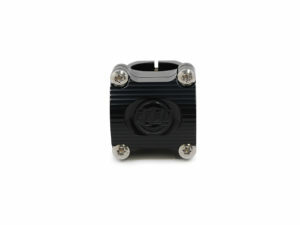 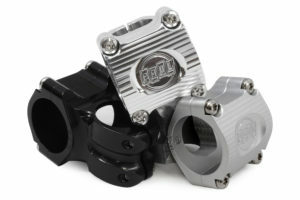 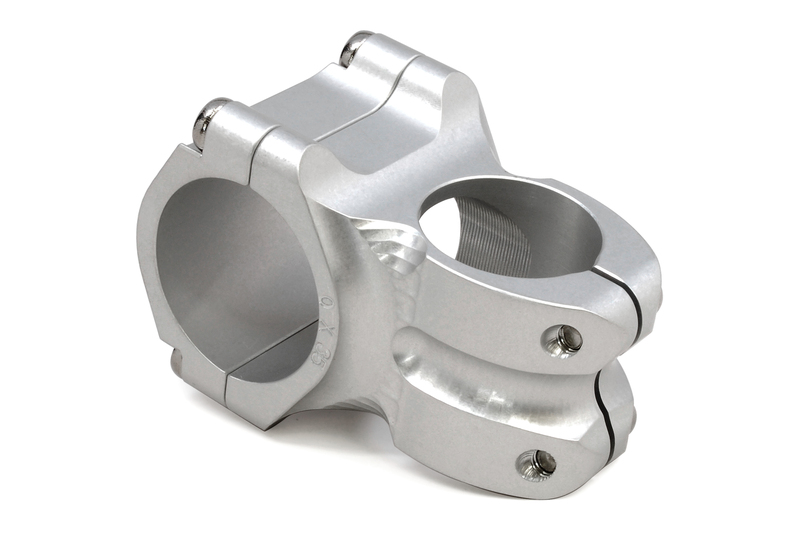 The Boxcar Stem is the perfect combination of stiffness, strength and light weight. Available in +/- 0^ in 35, 50, 70 and 90mm. Also +/- 15^ in 70 and 90mm, and +/- 7^ in 110mm. 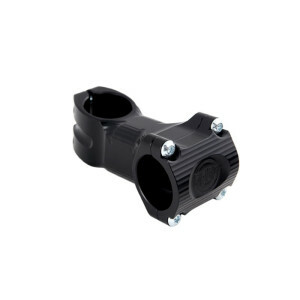 All screws are high strength stainless steel with the popular T25 head. 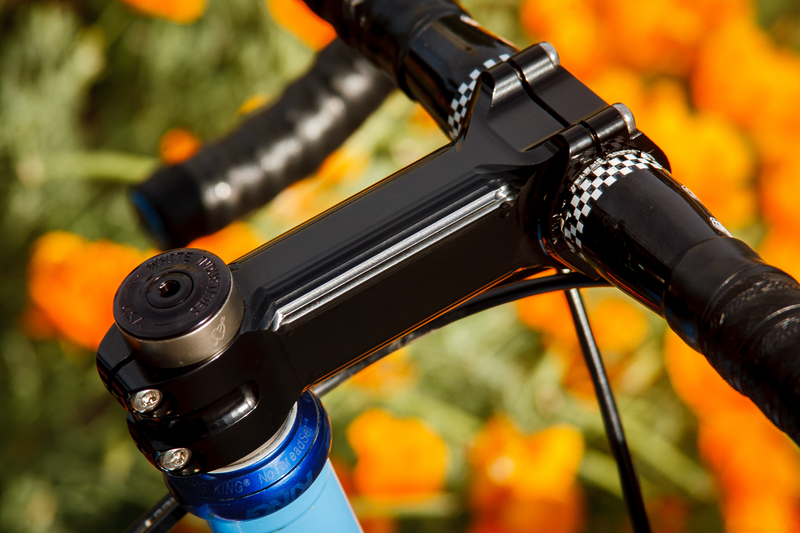 Made in Chico, California with US sourced 2024 aerospace alloy. This stem was designed from the ground up to be stiff, strong and very light. 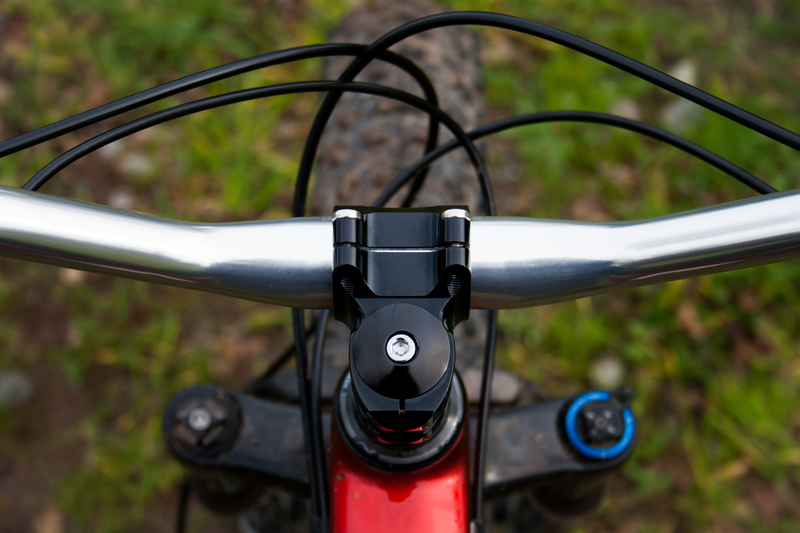 We went through several design iterations and believe we’ve reached the best combination of these three principles. 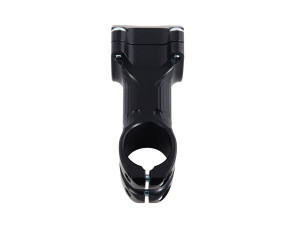 Extensive real world and machine testing have proven this to be one strong stem. With respect to torsion, the rounded box shape is some 25% stiffer than the competition. 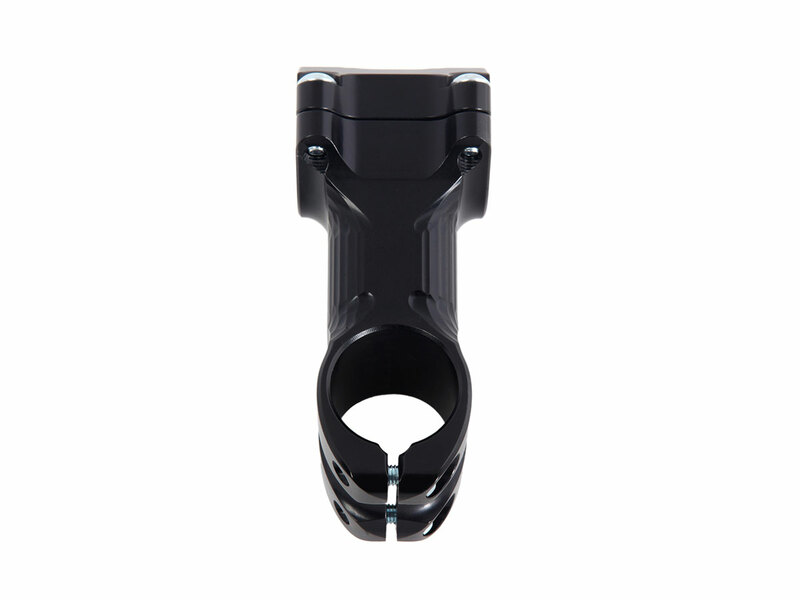 As for strength, we ran it through 1,000,000 cycles of above normal use stress without a single problem. How’d we get it so light, while still being so strong? We started with obsessive computer design time, then took the strongest and highest quality alloy made (American 2024), and precision machined it to .002” tolerance (that’s really tight for a stem). 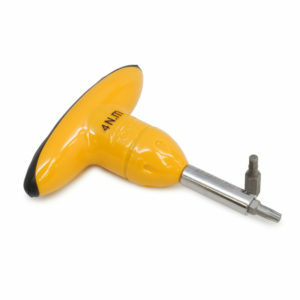 We use over 20 different end mills, drills, saws and taps to make 1 stem. 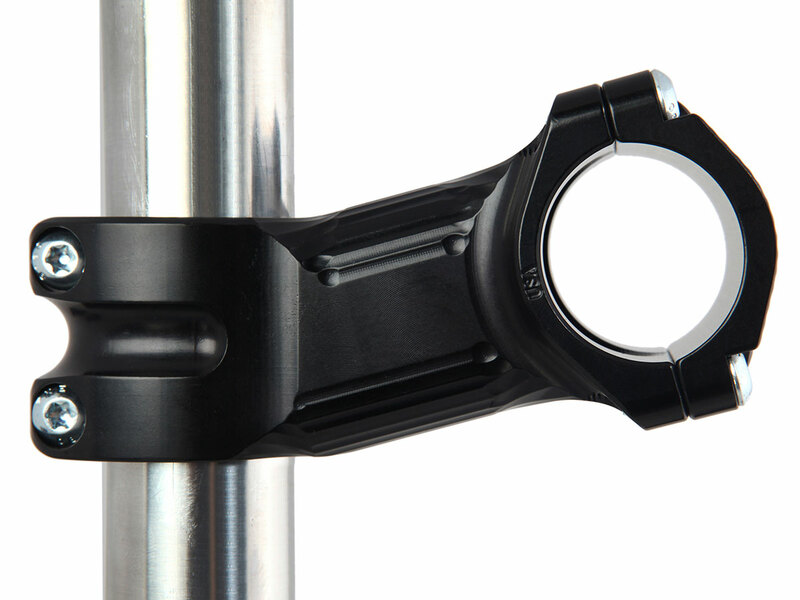 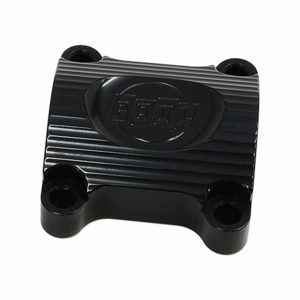 The stems come in a zero rise and a +/- 15 degree rise, and in 110mm length they are available in +/- 7 degree rise. 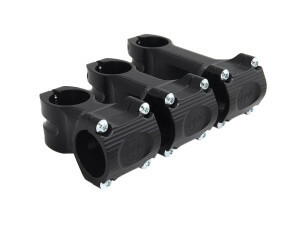 Lengths are 35, 50, 70, 90, and 110mm. 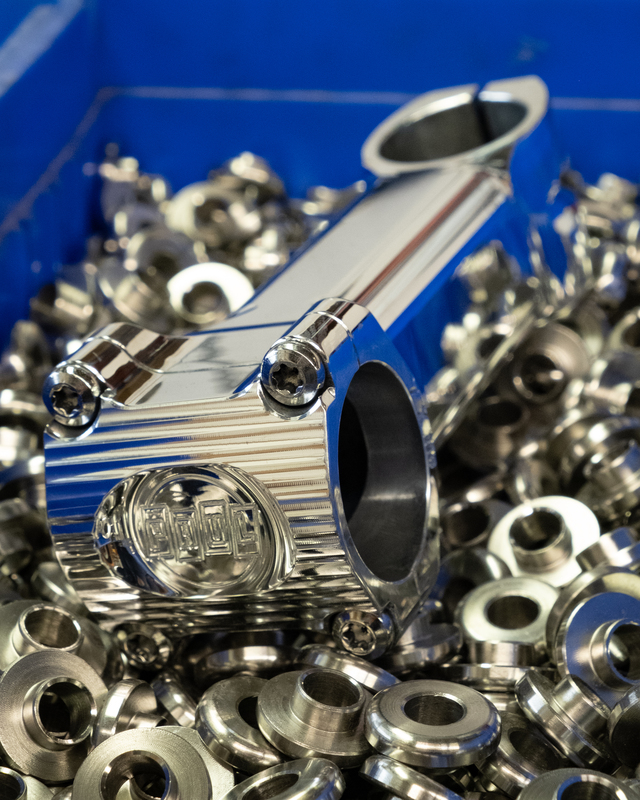 All screws are the same pan head T25 Torx type screws in stainless steel. 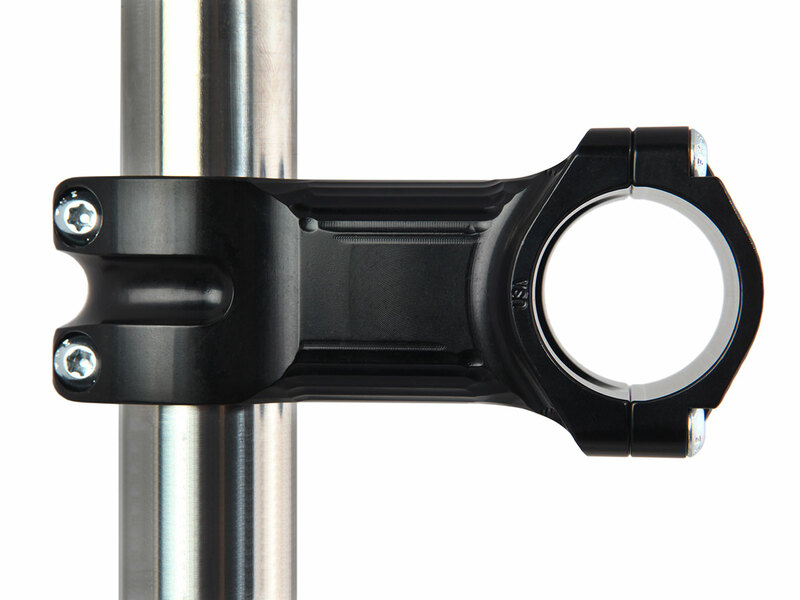 Why Torx? To encourage torque wrench usage and avoid strippage (People tend to overtighten faceplate bolts). 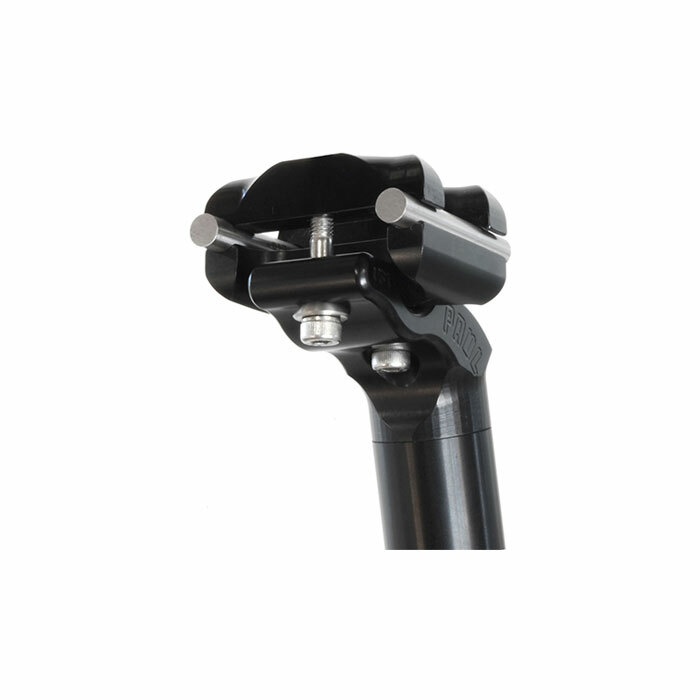 Also the Torx head is wider, distributing stress better, and are the same wrench size as the ubiquitous rotor screws all makers use. Also SRAM has made a switch to T25 screw heads in almost all their products, which is a good sign. 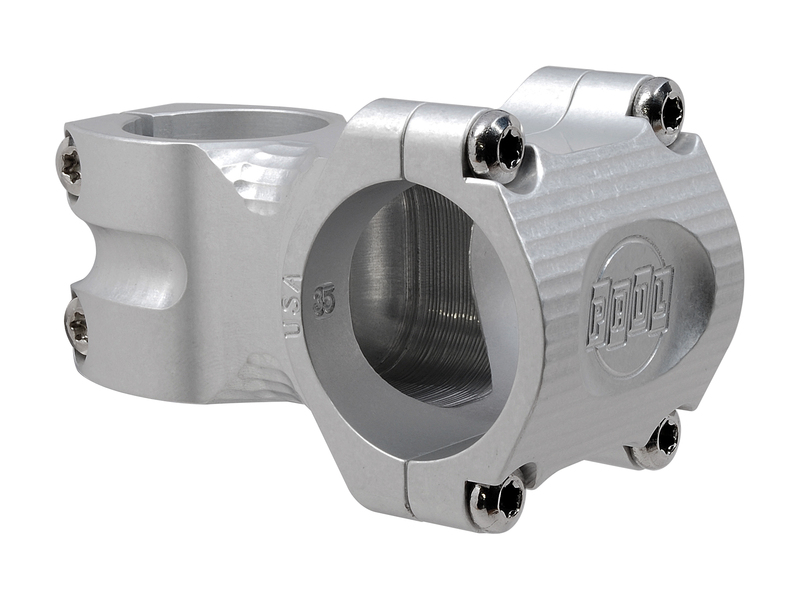 As usual, by letting the function and material properties dictate the shape of the product, we have come up with another one of our often complimented and purposeful designs. 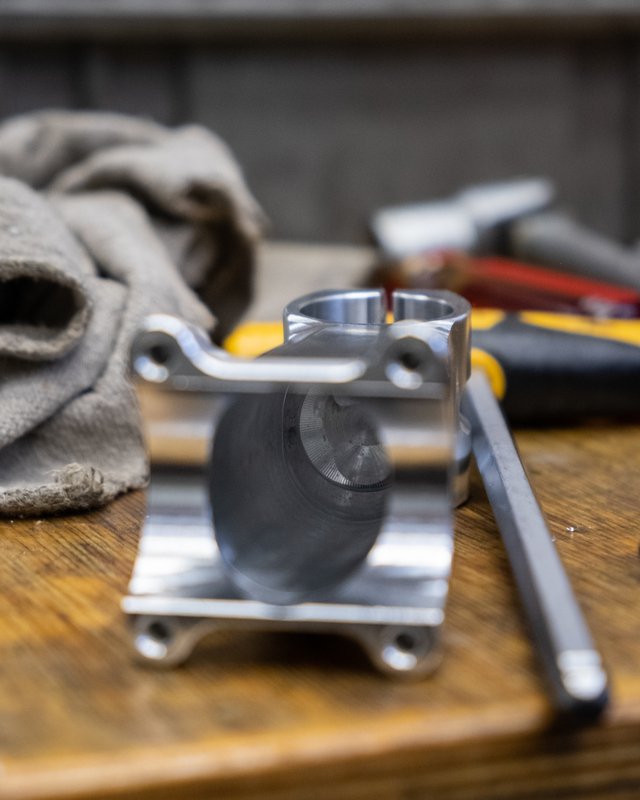 Yes, it looks a little different, but with us there is always one good reason for this: to make it work as awesome as possible.